Yumeji is a blend of Japanese and Australian hospitality offered in both contemporary and traditional styles. Our luxuriously appointed suites are spacious, allowing visitors the opportunity to experience the comfort of traditional tatami mat floors and shoji screens in a tranquil and private setting. All rooms provide either one Queen or two futon beds, with all rooms providing extra seating or zabuton. 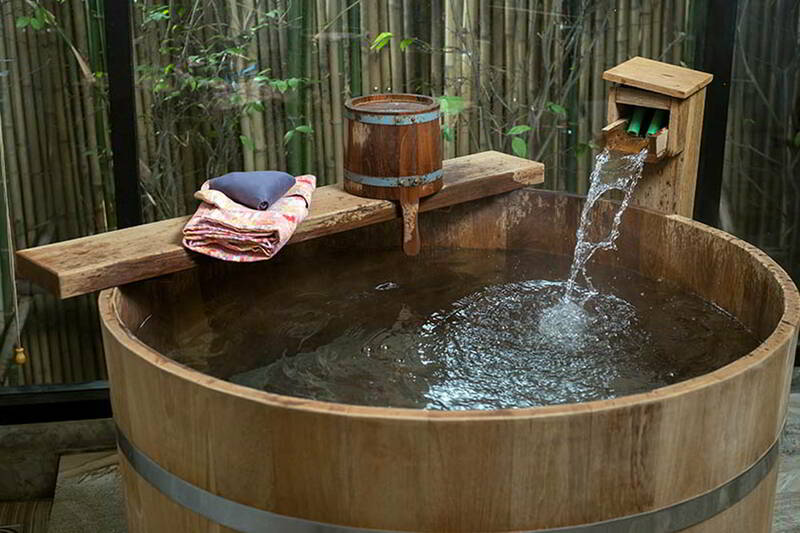 Wind down, relax and enjoy the tranquility that is Yumeji Retreat. Partake in the Japanese ritual of bathing in our imported Hinoki-buro, stargaze at night from your private spa or simply laze away the days overlooking the Japanese inspired garden. Be teased by our Japanese culinary delights and authentic decor. At Yumeji, first and foremost, we are food lovers. We are genuinely passionate about original Japanese cuisine and food delicacies. We also include a selection of more familiar dishes on our Australian Breakfast buffet of which we are equally proud, thus combining the best of both worlds. Tamborine Mountain, less than an hours' drive from Brisbane and the Gold Coast, offers an array of activities for locals and visitors alike. Whether bush-walking through one of the many beautiful rainforest trails, visiting the wineries or country markets or just relaxing at one of the many local eateries, there is something for everyone visiting the mountain. Current Specials and Future Offers. On top of Tamborine Mountain. Tamborine Mountain is located in the picturesque hinterland only an hour from Brisbane and the Gold Coast. The tropical rainforests are populated with distinctive, brilliant, colourful, exotic birds and many interesting variations of flora and fauna. The tranquility is a complete contrast to the incessant daily noise of city living.